Phuket (Thailand) – October 2, 2018 (travelindex) – Stay, play and relax in Patong Beach! 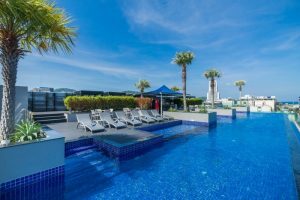 Best Western Patong Beach has unveiled a series of amazing deals this autumn, starting from just THB 1,299 per night. For reservations or more information, please call 076-360-200 or email reservation@bestwesternpatongbeach.com, quoting the promotion code “BWMEDIA”.